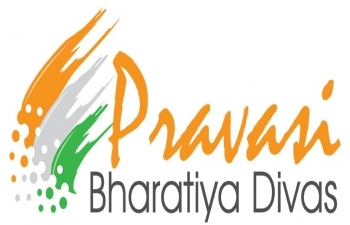 The Government of India is going to organize 15th Pravasi Bhartiya Divas (PBD) at Varanasi from January 21 to 23, 2019 in partnership with the State of Uttar Pradesh. The participants will also have the opportunity to take part in the Kumbh Mela at Prayagraj and Republic Day celebrations at New Delhi. The PBD website was launched on 15 September 2018 commencing the registration process for participating in PBD 2019. The registration will be open till December 15, 2018. Registration programme and payment details are available on the PBD website. The link for PBD 2019 website is www.pbdindia.gov.in. The entire duration of the programme spans 6 days from 21 January to 26 January 2019, however participation in Kumbh Mela and witnessing Republic Day Parade is optional. The participants will have the option to choose their stay either in hotel or tented Swiss cottages in Varanasi when they register on the website. The number of accommodation in Prayagraj and number of tickets for Republic Day Parade will be provided on first come first serve basis. Local transport for pick and drop to the venues and local sightseeing in and around Varanasi and Prayagraj including visit to Kashi Vishwanath temple and Ganga Aarti at Varanasi are being arranged. Participants will be taken to Prayagraj in special AC Volvo coaches and brought back to Delhi in special AC trains. Lunches and dinners will be arranged for all the 3 days of PBD Convention. Participants can experience India’s rich cultural heritage, progress and innovation through cultural evenings and exhibitions, which are also being arranged as part of PBD 2019. Members of Indian Community interested to participate in the PBD 2019 may kindly register on the website at the earliest. Procedure to be followed by foreigners who are already in India on any type of visa for taking medical treatment in India.